PARK SL – SMARTER, EASIER, SIMPLER PARKING! 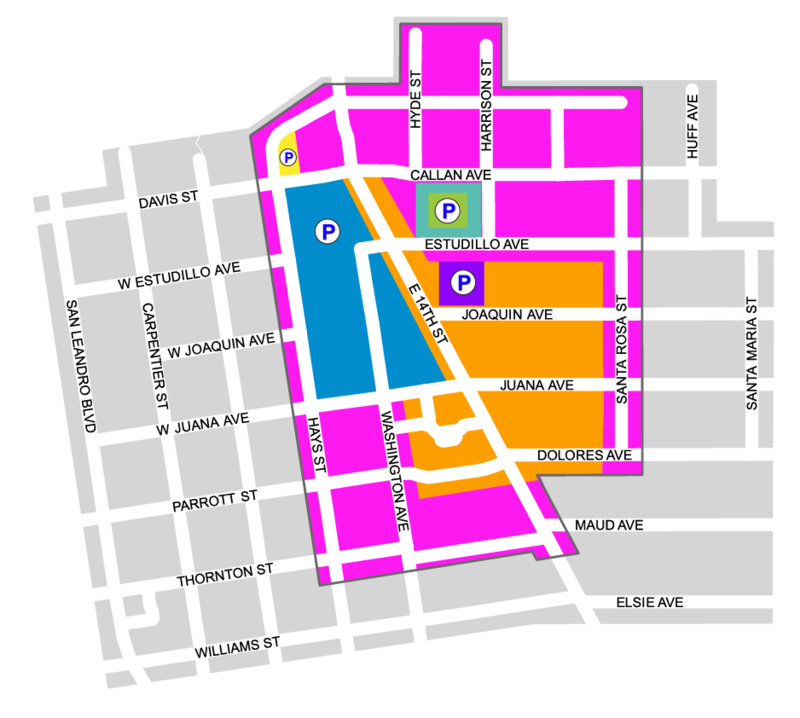 Become familiar with our new color-coded parking zones. Downtown San Leandro is made up of a charming mosaic of shops with landscaped sidewalks, bustling public plazas, quaint boutiques and inviting eateries and cafes all with their own unique character. There are approximately 3,000 paid public parking spaces to provide Downtown customers the flexibility to run errands, relax over lunch, work a full day, or enjoy their time in San Leandro. Downtown parking permits are also available to business owners, employees, and residents who require all-day parking. January 22, 2019: New Parking Meters Go Live (Pelton Plaza and West Juana Avenue). New parking meters were installed in Pelton Plaza and West Juana Avenue (between E 14th Street and Hays Street) allowing customers to pay for parking via credit card, apple pay, ParkMobile, and coin. For more information click here. Nov 15: New Designated Employee Parking Permit Area. The east side of Hays Street between W Juana Avenue and W Estudillo Avenue has been designated as an Employee Parking Area. You will notice that the parking sign reads 2 HOUR PARKING 9AM to 6PM MON THRU SAT EXCEPT WITH EMPLOYEE PERMIT, meaning Employee Parking Permit Holders who have VALID permits can park ALL DAY in this area.